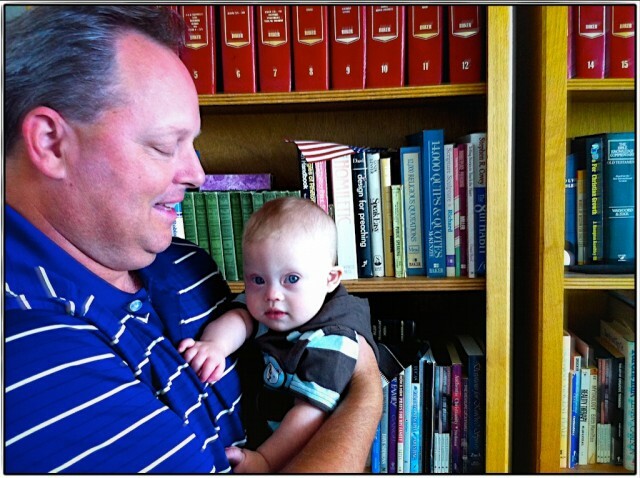 Dallas Theological Seminary Campus Tour In Dallas, TX With Baby Noah! Today I took Noah on a quick campus tour of Dallas Theological Seminary where I’m currently in my fifth year (yes, 5th year!) of graduate school, and (hopefully) will receive my ThM (Masters of Theology) next May. My time here has been life changing. I’ve met some of my closest friends here. I’m learned more about the Bible , God, and His plan for humanity than I ever thought possible here. But more importantly, I’ve come to love God more here. It was fun giving Noah a little mini tour of DTS, and introducing him to 3 of my favorite people on this campus. I love the way the people at this school love on our son. When they see Noah with me on campus it’s as if Bono himself walked in the front doors. They go nuts. Hugging him. Taking pictures of him. Loving on on him. It’s a great feeling, and I’m honored to be a part of this community. I’ve found that most people don’t have an accurate view of what a graduate level seminary (and a seminary student) is. Heck, before I become a seminary student myself the word seminary sounded super-ultra-mega religious…and….maybe just a little bit spooky! Some people imagine seminary to be something kind of like a five year long church camp where all day long people sit around a large camp fire roasting marshmallows, and singing “Friends Are Friends Forever” while some guy who looks like Justin Bieber plays the acoustic guitar. Justin Bieber has nothing on Chaplin Bill....the world's best trumpet player! My friend John, aka, one of the smartest people I've ever known! But perhaps the most inaccurate assumption of all is that seminary students are super spiritual. That they know everything there is to know about The Bible, God, angles, church history, where that verse is that your-grandma-used-to always-say-when-you-were-growing-up, and that they all have a footprints poster hanging up in their house. I can’t speak on behalf of all seminary students, but I can tell you what this seminary student is all about. First I’m none of the things I listed above. You’d only have to hang out with me for about three minutes to know that. I’m just a regular guy trying to figure out how I can best make an impact in the world. I’m the opposite of perfect. I don’t know it all. There's no Footprints poster in this seminary students house. (as my transcripts prove….). I constantly do really stupid things. I often feel like I’m surrounded by geniuses at Dallas Theological Seminary, and sometimes wonder how in the world they ever let me into this place. I could go on and on, but I won’t bore you. I think you get the idea. If it wasn’t for God’s grace in my life I’d be nothing. Zero. Zip. Nadda. He is the only thing I can boast in. He is the only thing I can brag about. I don’t think I’m a good person (In fact, I know I’m not.) I don’t look at anyone and think they’re a bad person if they curse, drink, or even listen to really bad (and cheesy) ‘christian’ music. I promise. So for those of you following our story please know you have complete freedom to be you. 100% you. The imperfections. The mistakes. The different views. They’re all allowed around this seminary student. Heck, you can even curse around me if you want! My little brother went to DTS. He got his masters there also. Boy, he is not perfect (remember he is my little bother) but I love him and admire him. Good luck. I am the one with the 8 yo son with down syndrome named Noah. So cool that your brother went here also…what is he up to these days? Both my husband and I went to New Orleans Theological Seminary in the undergraduate program. 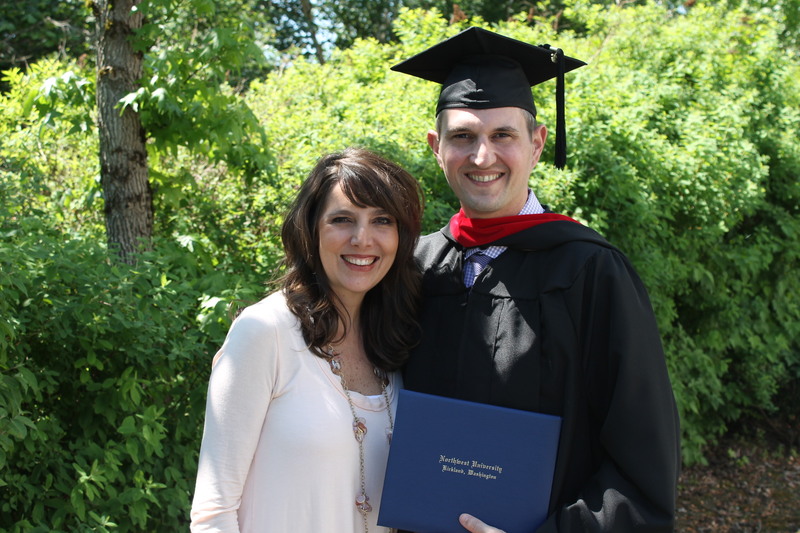 He finished his degree online and is now a pastor! We are just normal people ,with the grace of God, living for Him everyday. There are very many stereotypes you have to deal with because people think u are going to be perfect because you are in the ministry. But we are trying to get people to see past all the religion and focus on Jesus! That’s who it’s all about! Haha! 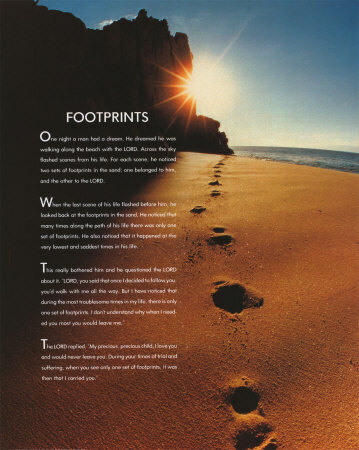 A footprints poster…. That made me smile. As a minister’s kid, and now a minister’s wife, I know exactly where this post is coming from. Sometimes I get funny looks when I say, “Did you see The Office the other night? Hilarious!” Like I don’t watch tv! What are planning on doing with your degree? Jon was headed to pastoral/missional, and now we work with youth, so you never know! As far as taking five years, I know several seminarians who were so burned out by cramming it all in, that they didn’t crack a book–and some, a Bible–for a year or more after that. That’s not worth it! I’m hoping to finish my ThM in May and after that I’m planning on wiring and speaking (I’ve been speaking for almost a decade now!) My ministry website is http://RickwSmith.com/ if you want to check it out. God seems to have really opened up a door with all of the media attention our blog has gotten. We’ve gotten responses from all over the world, and God’s really doing some things it seems. Jon is a youth minister at the FBC in a small town in Arkansas. He has lived in big cities all his life, and now we live in a town of 800! We’ve been here two years and love it. The church is really coming alive. We are taking our first foreign mission trip (Honduras) at the end of February, and I’m proud to say that Jon has had a lot to do with that. And excited to say that we both get to go! Our boys will stay behind with grandparents. I can’t wait for the day when they can come with us! When each boy was born, we started saving for them in two ways: 1) a college fund, and 2) a missions fund, for the day when they call home from college and tell us they feel called to spend the summer overseas. 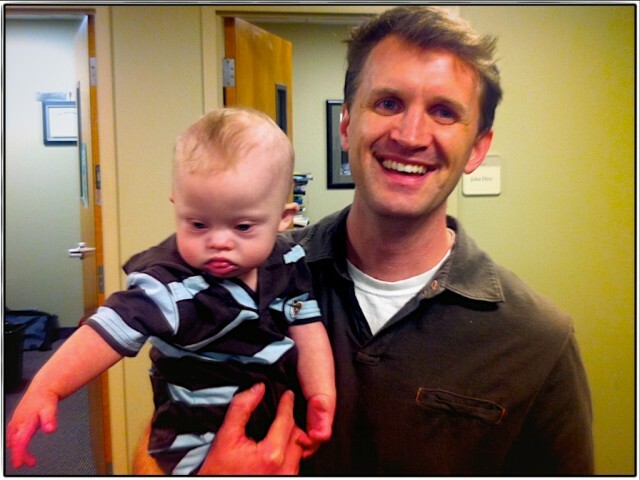 We actually named James Elliot Norvell after Jim Elliot, who gave his life in service to the Lord in South America. 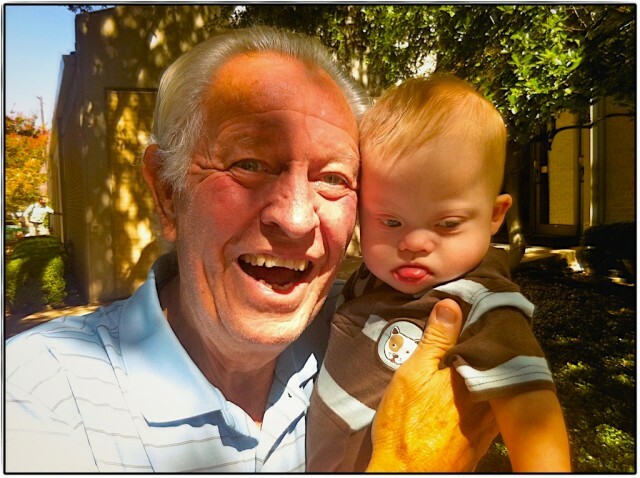 When we learned about his diagnosis of Down syndrome, it took us back a bit. I mean, what would he be able to do? This was not the boy we had imagined before he was born. But then we realized that we were thinking it all wrong, anyway. BOTH our boys are GOD’s boys, not ours. Our hope and prayer is that they fulfill HIS plan, and that we give ours up every day (because our plan is never going to be as great as God’s, anyway). And, we’re learning, it is entirely possible that our secondborn will go to college, and even spend a summer overseas on mission for the Lord! Who knows what the Lord holds. Okay…got off on a tangent…. Anyway, saw your ministry web site. Very cool. The pregnancy center in the nearby town has a yearly fund raiser with a speaker. I will pass on your name to them (as well as keep you in mind for youth events). We have family in the Dallas area, so sometime when we make it down there our families will have to get together. I’d love to meet your wife, you and Jon would have a lot to talk about, and I know the boys would have a blast! Congratulations, Rick! A Th.M is a huge accomplishment! I just finished a Master in Ministry but am considering doing more. Did you get an M. Div befor the Th.M?